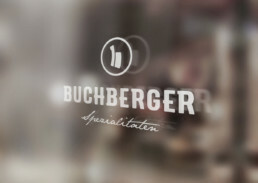 Every year, the CCA (Creative Club Austria) organizes a competition to promote young creatives. 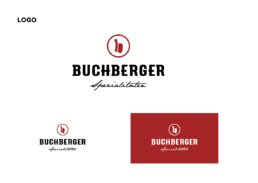 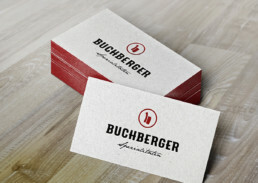 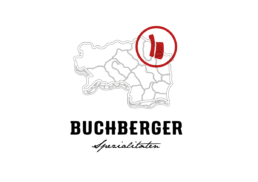 At the design competition in 2016, participants had to redesign the corporate design of the butcher Buchberger within 24 hours in teams of two. 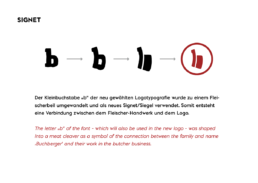 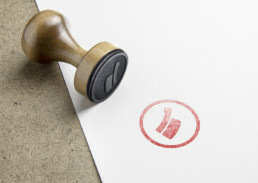 The letter „b“ of the font – which will also be used in the new logo – was shaped into a meat cleaver as a symbol of the connection between the family and name Buchberger, and their work in the butcher business. 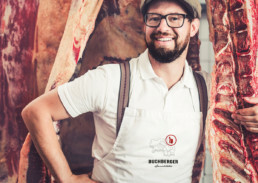 From the farmer – to the butcher – and sale – to enjoyment. 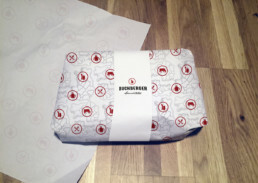 The illustration was created to highlight the regionalism and origin of their products. 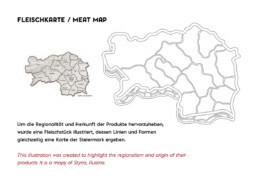 It shows a map of Styria, Austria. 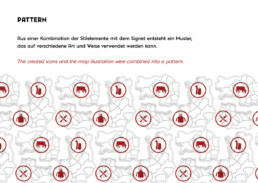 The created icons and the map illustration were combined into a pattern.